Biyi is the Group Managing Director of Regency Alliance Insurance Plc. 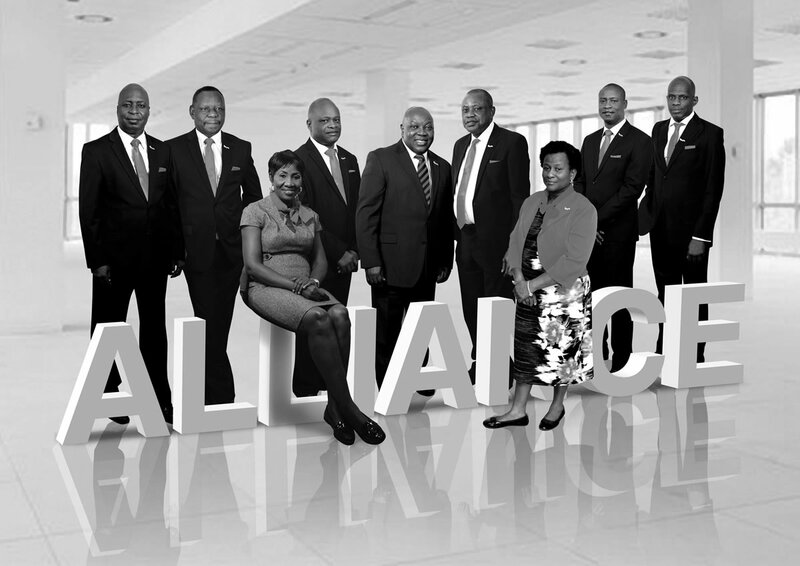 Following the consolidation with three other insurance companies in 2007, he was retained as the Managing Director of Regency Alliance. 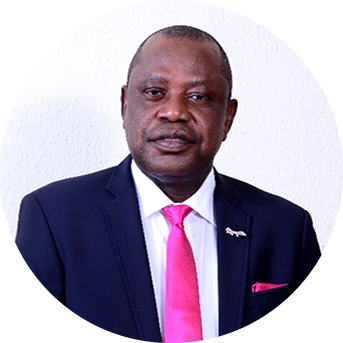 Prior to his founding of Regency Insurance Company in 1993, he began his career at United Nigeria Insurance Company Limited (UNIC) IN 1986. He was the General Manager, Capital Assets Insurance Brokers Between 1990 and 1991. In 1991, he became CEO of Excel Insurance Brokers. Biyi holds a B.Sc. in Insurance and a MBA in Financial Management and Accounting from the University of Lagos. He is an Associate of the Chartered Insurance Institute London (ACII). He obtained his LLB degree from the Lagos State University and was admitted to the Nigerian Bar as a Barrister and Solicitor of the Supreme Court of Nigeria. He sits on the board of many companies as chairman or director. They include: Regency Nem Insurance Limited, Ghana, RIC Microfinance Bank Limited, RIC Properties and Investment Limited, RIC Technologies Limited and Trustfund Pensions. In recognition of his outstanding leadership qualities, in April 2013 he was appointed by His Excellency, the then President of the Federal Republic of Nigeria; Dr. Goodluck Jonathan, as Chairman of the Governing Board of the University of Uyo Teaching Hospital. 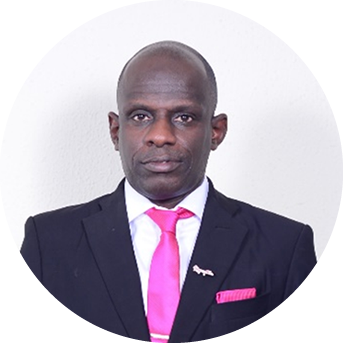 Sammy Olaniyi is the Executive Director, Business Development, Regency Alliance Insurance Plc. of Nigeria. A member of the Institute of Directors, Olaniyi obtained B.Sc. Accounting and M.Sc., Organizational Behaviour from University of Lagos, Nigeria. He is a Chartered Insurer from London. He has attended various specialized courses both internationally and locally. A business Strategist and a versatile marketer, he had his Insurance training in the United Kingdom including the Chartered Insurance Institute’s Lloyd’s Training Centre. He has extensive experience in Insurance Business Development and Marketing Research that makes him a leading resource person in modern business penetration. 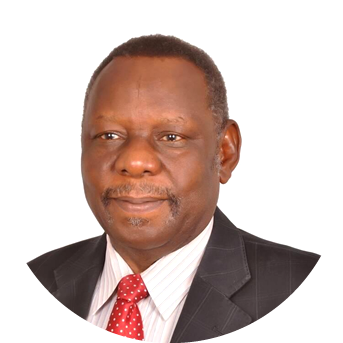 Olaniyi was a leading member of the consortium of investors who acquired Nigerian Alliance Assurance Corporation Limited in 1996 and was subsequently elected as its Executive Director. He has just concluded his Professional Doctoral programme with the prestigious Middlesex University in London. Kehinde Oyadiran is a graduate of Accountancy from Federal Polytechnic, Ilaro, a Fellow of the Institute of Chartered Accountants of Nigeria (ICAN) and a Member of Nigerian Institute of Management (NIM). He has a Masters in Business Administration (Finance) from Abubakar Tafawa Balewa University (Bauchi). Mr. Oyadiran attended several Management courses. 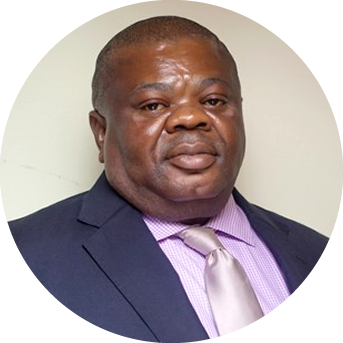 He started his working career as an Underwriter with WAPIC Insurance Plc and later worked in Finance and Administration Department of the same company and rose to the position of Company Accountant. He joined Nigerian Alliance Assurance Corporation Ltd in 2001 where he rose to the position of Head of Finance. 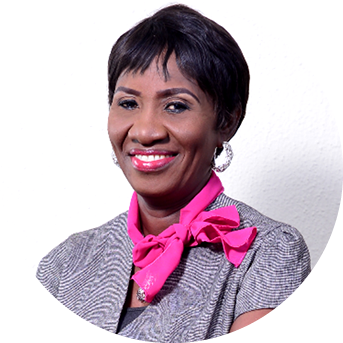 Kehinde Oyadiran is currently the Executive Director (Finance & Administration) of Regency Alliance Insurance Plc. Sunmbo Adeleke holds a B.Sc. degree in Business Administration from University of Lagos and an MBA from Ambrose Alli University, Ekpoma, Edo State. She started her Insurance career with Great Nigeria Insurance Company and later joined African Alliance Insurance Company Limited. She moved to Femi Johnson Insurance Brokers in 1994 and rose to the position of an Assistant General Manager. In 2004, she became the General Manager/CEO of Regency Life Assurance and Pensions. 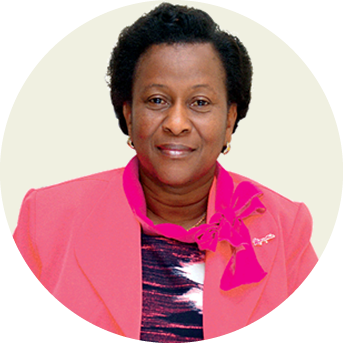 She joined Regency Alliance Insurance Plc in 2007 and is currently the Divisional Director, Technical Operations. She’s an Associate of the Chartered Insurance Institute London and Nigeria. 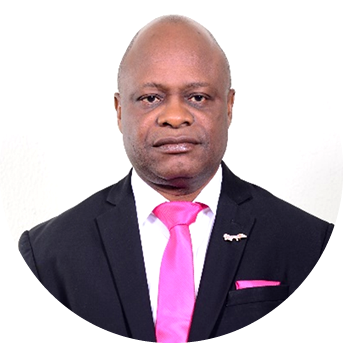 A Chartered Insurer and seasoned Marketer, Dayo Ayeni began his career at NICON Insurance Plc in 1985. He was Manager, Technical Shepherds Insurance Brokers between 1986 and 1992. Dayo later became Assistant General Manager, Marketing, Atlantic Insurance Company Limited. Anu Shobo is a qualified Legal Practitioner with a reputation in the legal circle for her hard work and exceptional brilliance. She joined Regency as the Company Secretary/Administration Manager. Until her appointment, she was an Assistant Manager (Legal) in Wema Bank Plc. Anu obtained her LLB and LLM Degrees from the University of Lagos and was called to the Nigerian Bar in 1987. As the Company’s Chief Compliance Officer (CCO) she also oversees and manages the company’s compliance with regulatory requirements and internal policies and procedures. She has behind her a work experience of about 25 years, of which 21 years have been as a Practicing Company Secretary. She had successful pre-practice work tenure in the Ministry of Justice, Bendel State Office of the Director of Public Prosecutions and Beatrice Fisher & Co. as Legal Counsel. A relentless learner that she is, Anu has been quenching her thirst for knowledge and all-round development by constantly updating herself in various avenues of knowledge. She has participated in Risk Management, Anti-Money Laundering, Effective Leadership, Team Building & Manpower Management courses. Anu currently serves as Company Secretary/Chief Compliance Officer at Regency Alliance Insurance Plc. A seasoned marketer, Aji Maina attended Ahmadu Bello University Zaria and Abubakar Tafawa Balewa University, Bauchi where he obtained his PGD in Management and MBA respectively. Maina started his Insurance career with Royal Exchange Assurance (Nigeria) Plc and later moved to Kapital Insurance Company Ltd. 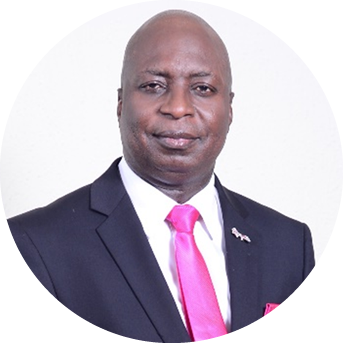 He joined NICON Insurance Plc in 1995 where he rose to the position of Assistant General Manager. 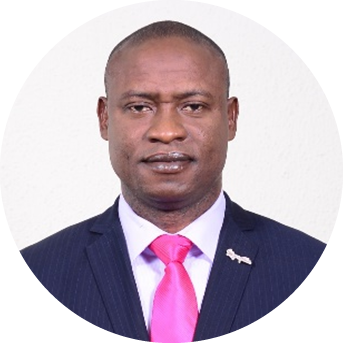 He held various positions during his stay in NICON: Assistant General Manager (Marketing) North, Assistant General Manager, Abuja Zone, Assistant General Manager, Property and Liability, Chief Operating Officer (Marketing) and Chief Operating Officer (Branch Operations). He is a member of the Nigeria Institute of Management (NIM), Nigeria Institute of Marketing of Nigeria (NIMN), Fellow Chartered Institute of Professional Practice Nigeria (CIPP) and Member Chartered Institute of Professional Practice USA. Tunde is a Chemical Engineer and a Chartered Accountant who was trained at Nigeria’s foremost accounting firm, Akintola Williams & Co Chartered Accountants. He joined Nigeria-French Insurance Plc in 1994 where he rose to the position of Manager, Finance. He moved to Regency Insurance Limited in 2003. He holds a B.Sc. Chemical Engineering from one of Nigeria’s leading universities, Obafemi Awolowo University, lle Ife. He is an Associate of the Institute of Chartered Accountants of Nigeria. Akin Omodele is a seasoned underwriter and reinsurance expert with bias for oil and gas insurance. He began his career at Oasis Insurance where he rose to the position of Superintendent in 2003. He joined Regency Insurance Limited as Assistant Manager in 2003. Akin Omodele is an Associate, Chartered Insurance Institute of Nigeria (CIIN) and an Associate Member, Nigeria Institute of Management (NIM). He holds B.A, Comparative Studies of Religion from University of llorin and MBA Marketing Management from University of Lagos. Bode is a seasoned insurance marketer. He started his career as a Broker. He was Assistant Manager, Man Mountain Insurance Brokers, Nigeria from 1989 to 1991. He was appointed Manager, Marine Insurance Hogg Robinson Nigeria in 1992. He had a stint with the defunct Nigeria Arab Bank Ltd as its pioneer Manager, Insurance. Other positions held by him include Assistant General Manager, Operations, Triumph Assurance Company Limited and Head, Eastern Operations, Phoenix Nigeria Assurance Plc. Bode was trained at the London School of Insurance and became Associate, Chartered Insurance Institute of London in 1989. He holds an MBA from one of Nigeria’s leading universities, University of Lagos. 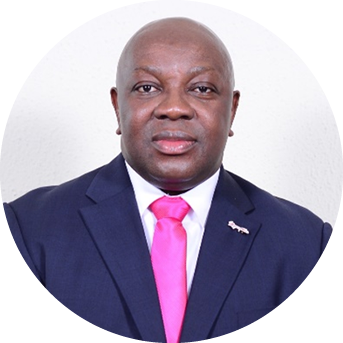 He joined Regency Alliance Insurance Plc in 2007 as Regional Director South-South and became Managing Director and Chief Executive Officer of Regency Nem Insurance Limited, Ghana in 2008. Bode holds an LLB from Ghana Institute of Management and Public Administration (GIMPA) and he is a fellow of the Insurance Institute of Ghana.